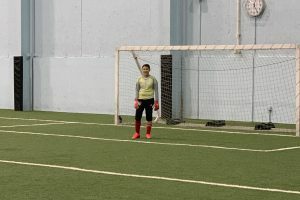 AAC Eagles Chicago Soccer Academy is a full year program. Our club promotes an environment that encourages intellectual, cultural, social, and physical development through soccer. 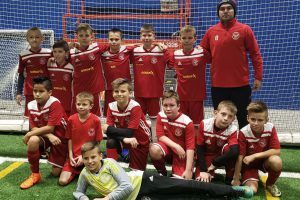 With our recent affiliation with Akademia Pilkarska 21 in Poland, all of our teams will train through the same system and ideas, and play with the same style; this will allow players to develop over time. 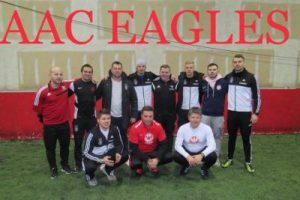 AAC Eagles Chicago Soccer Academy provides fun, enjoyable and challenging soccer training for boys and girls in the Chicagoland area. 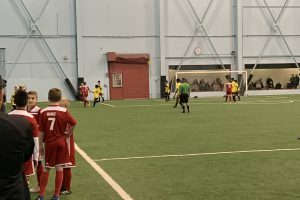 Check out league standings, game schedules, statistics and other info on the Young Sportsmen’s Soccer League. Pro-Home 1 is a well-known construction company that is located in the suburbs of Chicago. They specialize in remodeling, roofing, and siding services. Active Rehab Clinic is located in Chicago. They are the only certified Burdenko Method Provider in IL. Active rehab uses water and land rehabilitian programs to allow faster recovery from trauma. A Polish radio station that plays music, discusses hot topics, and promotes local businesses. They are on air seven days a week, from 7:00am – 7:00pm. Tune in! Magdan Home Improvement is a family owned business. Magdan specializes in roofing, window, siding, gutter, and doors. Magdan is located in Schiller Park and caters to surround areas as well. Ludwig Dairy is a full service speciality dairy products distributor. Their market area covers northern and central IL, southern WI, and northwest IN. 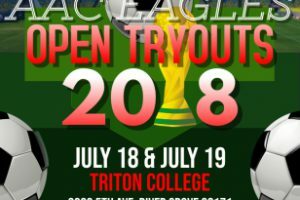 Interested in becoming a sponsor of AAC Eagles Chicago? Marek Konieczny from Poland comes to visit! 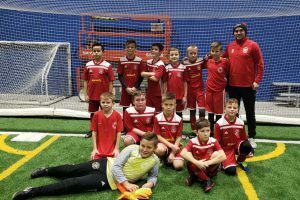 Congratulations U12 and Coach Kuba! 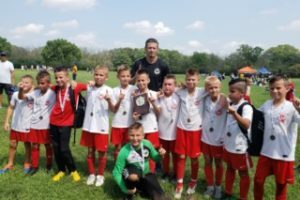 Congratulations to Coach Kuba and his U12 team for winning the Memorial Day Challenge in their division! The final game was played against FC Rivers, where the Eagles won 2-1. If you missed our Open Tryouts, it’s still not too late to join us! Please call or email us for more information about our upcoming season. Congratulations to our U10A who went undefeated all season and were able to bring the championship back home! Coach Krzysztof Krol talks about the plans for the academy. Address: 5844 N. Milwaukee Ave.